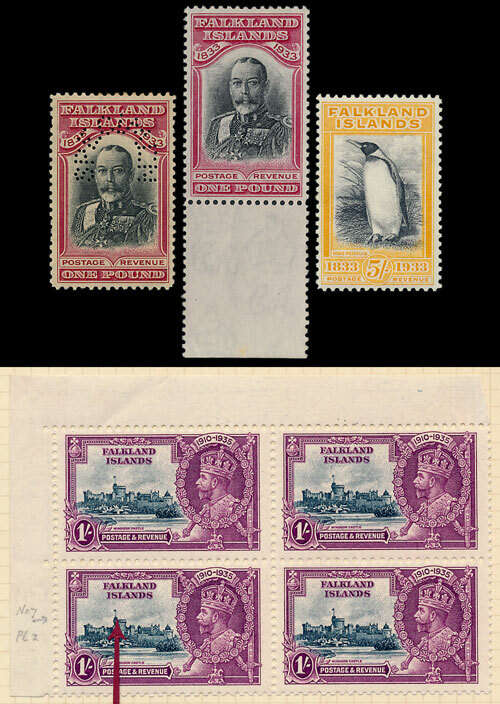 Stamps of the Falkland Is & Dependencies are one of the most popular areas with buyers at our stamp auctions. 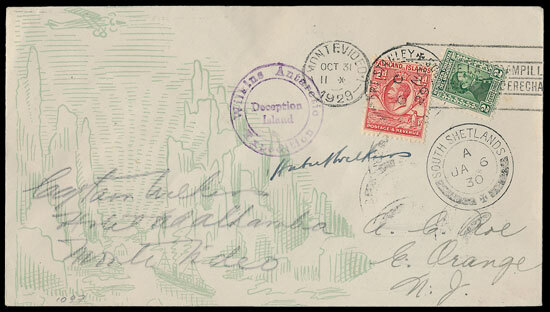 This small windswept archipelago, just off the South American coast, holds a special interest for stamp collectors. Our March 7th stamp auction provides an opportunity to purchase some rare and unusual items that have not been available on the market for over 40 years, many are ex Robson Lowe and in the original packaging from that time. The collection is offered in 80 lots. 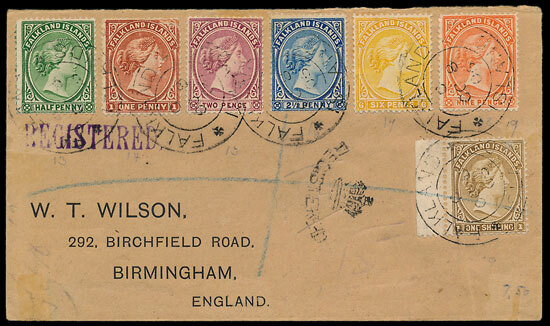 The Stamps in the collection include the 1933 Centenary set, a specimen overprint set, a 5/- yellow orange shade, complete sheets of some issues including 1878-9 1/- bistre-brown, varieties including a 1935 Silver Jubilee block of 4 with ‘extra flagstaff’. 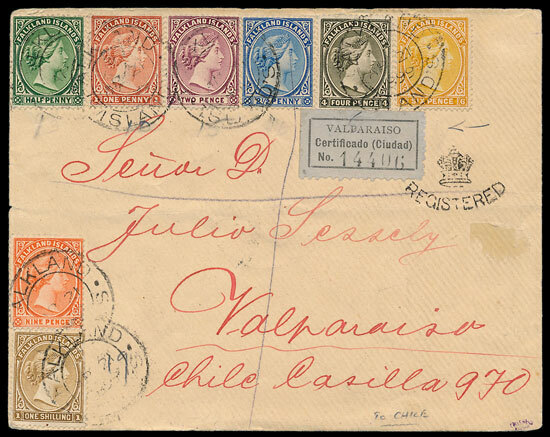 1899 registered cover to Chile with 1891 set. 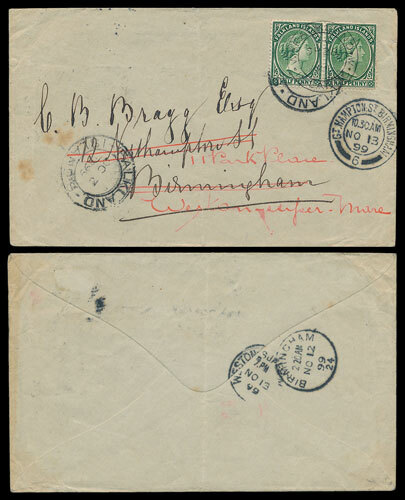 1906 letter to Birmingham with 1891-02 set (apart from 4d). 1878-9 imperf plate proof 6d pair. 1904-12 1/- composite essay. 1904-12 5/- composite essay. 1929-36 Whale & Penguin 2½d composite essay on large card. 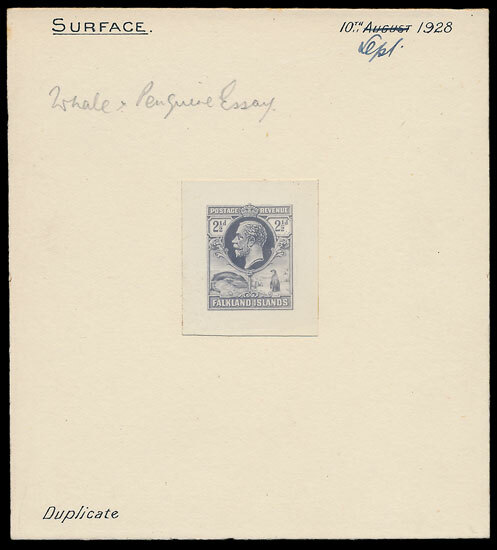 1938 De La Rue die proofs. Expedition Mail including a 1929-30 illustrated cover. Falkland Is Dependencies including an 1899 Fox Bay commercial cover. The collection is included in our 7th March stamp auction and the online catalogue can be viewed on our website prior to the auction. If you would like any information on lots included in the auction or if you are interested in selling your own collection then speak to one of our specialist stamp team on 01926 499031 or email ian.hunter@warwickandwarwick.com.